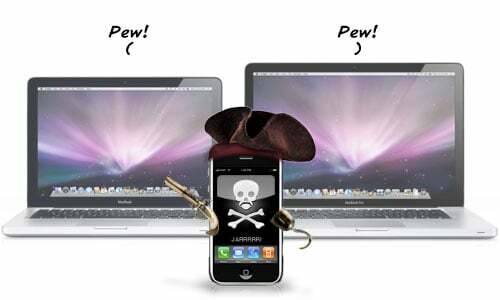 The Jailbreak and Unlock wizards behind the iPhone DevTeam are off to DEFCON 17, the security/hacking convention that juxtaposes Black Hat 2009, and have provided a set of tips to help those at the conferences (or anywhere really) avoid getting their iPhone hacked into. The tips are really targeted at Jailbroken iPhones, but some cross over to regular iPhone users as well. Disable all your login cookies in Safari. If you use the hotel or conference wifi, it is 100% guaranteed that your traffic will be sniffed. If you allow a web site (like twitter.com) to store your login info in a cookie, and if you connect to that site through a normal http connection, your login info will be exposed. At the very least, you'll end up on the Wall of Sheep. But you'll be giving up your password to anyone else sniffing too. They also advise avoiding any public Wi-Fi at hotels, conference centers, airports, etc. (and to tether instead), and either uninstalling or disabling SSH access, or at the very least changing the root and mobile password from Apple's default. They also provide their suggestions for talks that might interest the iPhone jailbreak community. If anyone attends, let us know how it goes via our iPhone Jailbreak and Unlock Forum. And If you have more pro tips, send them our way!